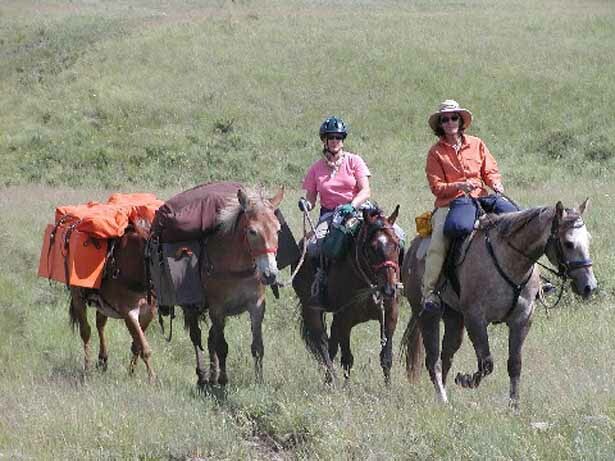 Once you have saddled your pack animal, hang the panniers on the saddle. If you are using a Sawbuck, loop the pannier hanger straps over the bucks on the opposite side. 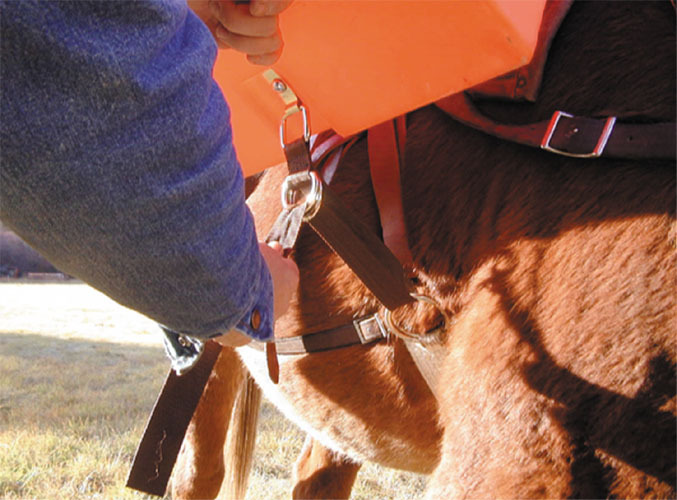 With a Decker pack saddle and Decker hooks, just snug the hooks to the hoops on the side you are on. 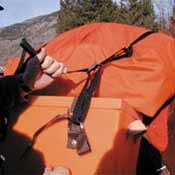 If you are not using Decker hooks, buckle your panniers to the side you are standing on. Cinch panniers down to the inner ring on the pack saddle cinch using the strap coming off the bottom of the pannier box. This is to keep the panniers from flying up like bird wings if the animal trots or lopes. Place top pack on panniers. The center of the H-style top pack will snug down neatly between the front and rear cross bucks. The sides should rest easily on each of the panniers. The Decker style/rectangular top pack will simply lie across your hoops and rest on each of the panniers. Using the four top pack straps, cinch the top pack down snugly to the dee rings on front of pannier box.